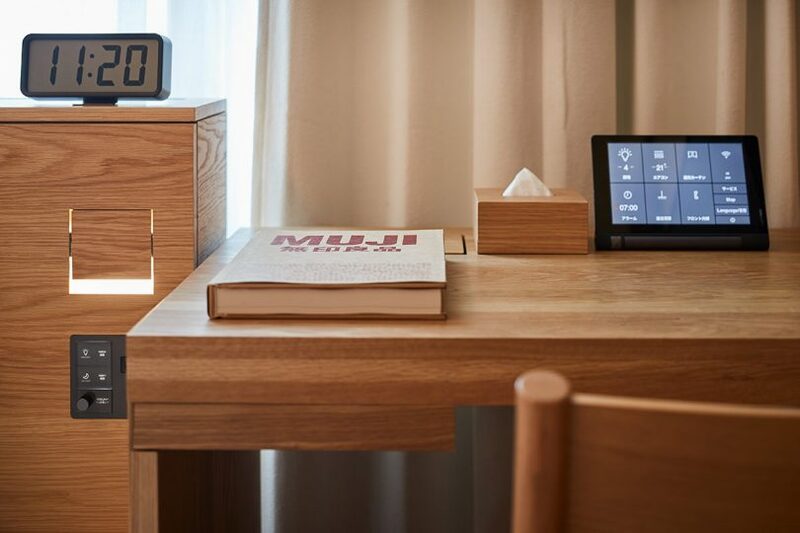 Aiming to forgo “exorbitantly priced and superfluent services”, each of the simply furnished 79 rooms within this latest Muji hotel located above the MUJI global flagship store in the bustling Ginza district quietly showcases a vast swath of the retailer’s catalog of homewares and furnishings. From mattress to bath towels to the nail clippers any guests can request during their stay, the hotel operates not only as a place to stay, but arguably the ultimate try-before-you-buy showroom. The hotel offers 8 single occupancy TYPE A rooms that are small but unsurprisingly intelligently organized. The hotel offers nine configurations/styles of room ? TYPE A thru TYPE I – ranging in sizes from compact single person 14-15 square meter rooms up to more spacious 52 square meter accommodations more than suitable for couples.